Time flies when you’re ripping apart preconceived notions. Ten years ago Arch Enemy embarked on a journey that sounded a lot like career suicide, at least on paper. 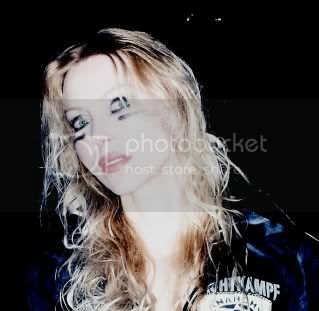 The introduction of vocalist Angela Gossow in 2000 as the replacement for founding singer, Johan Liiva, was dismissed as a sick joke by some and a guaranteed car crash by others, all before a single throat-grinding note was heard. Those predictions were silenced with the release of Wages Of Sin in 2001, the album that jumpstarted Arch Enemy’s five-years-young career and inadvertently kicked the door open for women interested in entering the realms of death metal. 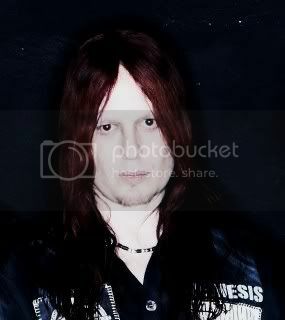 Guitarist Michael Amott and axe-wielding brother Chris were forgiven by all but the hardest-nosed fans for the scare, and Gossow went on to become one of the most recognized – and easily the most intimidating – women in metal, performance first and eye-candy second. 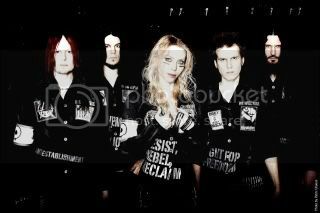 A decade later, Arch Enemy is by all accounts in better shape than ever. Self-managed and calling their own shots, they have unleashed the brazen and twisted Khaos Legions, a record that is sure to please diehard fans and, at press time, had earned them a decent amount of flak. All as expected, according to Amott, but he isn’t letting any of the critics get him down. One of those things may have been a track destined to stir up the Arch Enemy fanbase the moment it was brought to the table. The song ‘No Gods, No Masters’ sticks out like a mojito at a keg party, a seemingly out-of-character metal-meets rock-anthem loaded with commercially accessible hooks and melodies. Just the sort of thing to make fans think the band has lost its collective mind yet again. The songs surrounding ‘No Gods, No Masters’ are considerably heavier, much more in line with the diehard Arch Enemy fan’s expectations. That said, the band is good for several twists and turns with regards to the levels of shred; see ‘Cult Of Chaos’ for what may well be the long awaited bookend to ‘Nemesis’, and ‘Through The Eyes Of A Raven’ and ‘Cruelty Without Beauty’ for some uncharacteristic prog-heavy melodic thrash. The new songs were also written with the stage in mind, which Gossow figures is symptomatic of a band that makes a living through touring rather than over-the-top record sales. 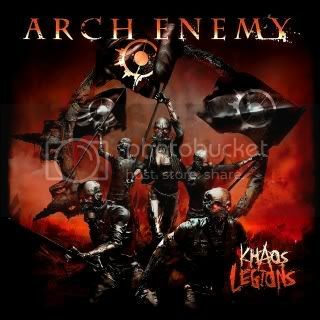 Let the bitching commence with regards to the songs on Khaos Legions having too much of one thing and not enough of the other – death metal vs melodic guitar leads vs extreme vocals – but the album is, as Amott says, the most diverse album in the Arch Enemy catalogue. On this one point there can be no argument. For Gossow it’s been a decade-long rollercoaster ride, going from being slagged at the gate to being regarded as one of the strongest and inspirational female metal vocalists of our time. Especially considering most people figured Arch Enemy would crash and burn – or at least falter in spectacular delete bin fashion – with a woman up front.